Cairns Turtle Rehabilitation Centre (CTRC) is a voluntary non-profit organisation dedicated to the rehabilitation of sick and injured turtles. The Great Barrier Reef is home to six of the world’s seven species of marine turtles. A number of these are seriously threatened by a diverse range of natural and, more significantly, human induced factors. 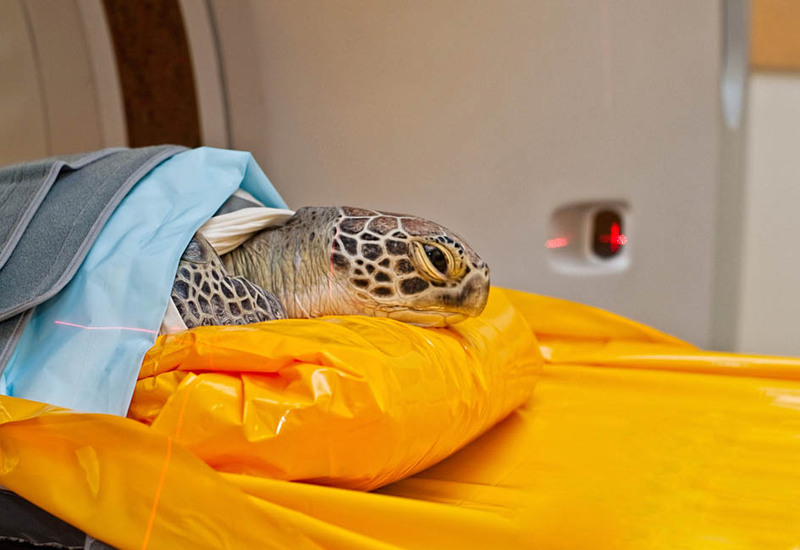 Our rehabilitation facilities are located in Cairns - Far North Queensland, which is where many of the sick and injured turtles that we care for are found . CTRC supports the work of all organisations, individuals and agencies in their efforts to conserve sea turtles and the habitats that they live in. We work closely with a number of these groups, which includes the environmental Protection Agency (EPA) and EPA National Park Rangers who are responsible for bringing the turtles to us. CTRC relies on the generous donations from supporters and volunteers, without whom we would be unable to continue this important work. Here at CTRC we are always looking for new ways to work with other parties, so that our combined efforts are not only focused but maximised for the overall benefit of sea turtle conservation. 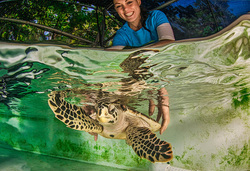 CTRC’s Fitzroy Island Turtle Rehabilitation Centre and Interpretative Tours have attained Advanced Eco Tourism Certification. Ecotourism Australia’s national certification program recognizes operators that demonstrate sustainable tourism best practice.